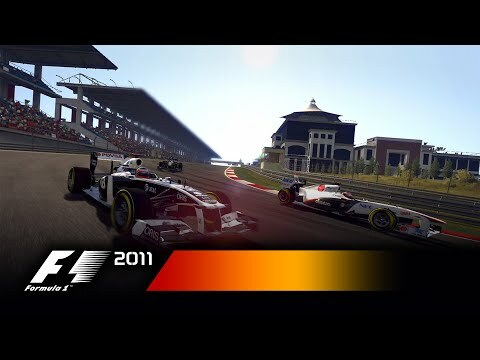 Buy F1 2011 and get the games download now! The sequel to the BAFTA award winning 2millon+ seller F1 2010™. Go compete in split-screen, co-op Championships and online against 16 players plus 8 AI to simulate full 24 car grids. Features all the stars, cars and circuits from the 2011 FIA FORMULA ONE WORLD CHAMPIONSHIP™. Debut ahead of the drivers at India’s Buddh circuit and take on the Nürburgring for the first time in High Definition in a FORMULA ONE game. Use KERS and DRS for new attack and defense options – blast past rivals and defend your line. Race wheel-to-wheel with stars like Sebastian Vettel, Lewis Hamilton and Fernando Alonso. Features new Pirelli tires, flashback and new authentic engine damage.